Viknesh Vijayenthiran March 19, 2019 Comment Now! It was in early 2017 that Audi first confirmed the addition of a Q4 to its lineup, though there have been some changes to the automaker's plans since then. The Q4 was originally planned to be a compact crossover SUV with a coupe-like profile based on the same structure as the recently redesigned Q3. Its main targets were to be the BMW X2, Jaguar E-Pace, Lexus UX and Mercedes-Benz GLA. However, as we learned at this month's 2019 Geneva International Motor Show, the Q4 will now be a battery-electric model based on the Volkswagen Group's MEB modular platform for EVs. It will be called the Q4 e-tron and arrive in late 2020; a concept for which was rolled out at the Geneva show. 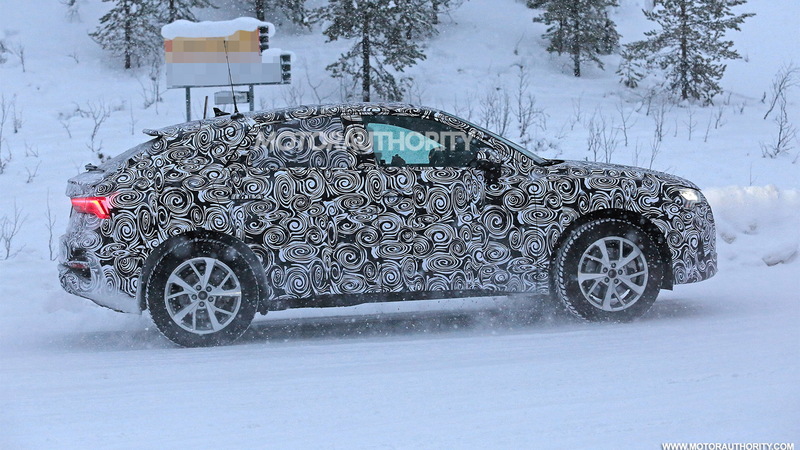 2020 Audi Q3 Sportback spy video from Motor Authority on Vimeo. 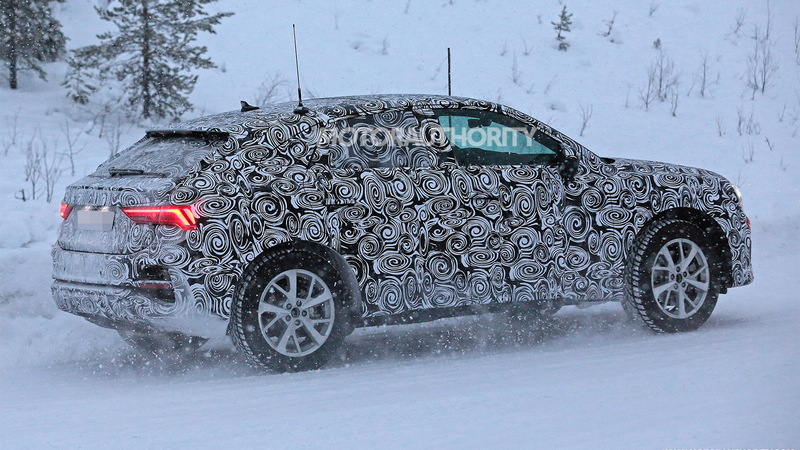 As for the original vehicle that was to be the Q4, Audi will instead badge it a Q3 Sportback. Prototypes are currently testing in the wild ahead of a reveal later this year. Audi previewed the Q3 Sportback in 2014 with its TT Offroad concept. The design has evolved considerably since the TT Offroad was first shown. The spy shots and video show that the Q3 Sportback wears distinct styling cues to set it apart from the TT. The final result should resemble a scaled-down Q8. 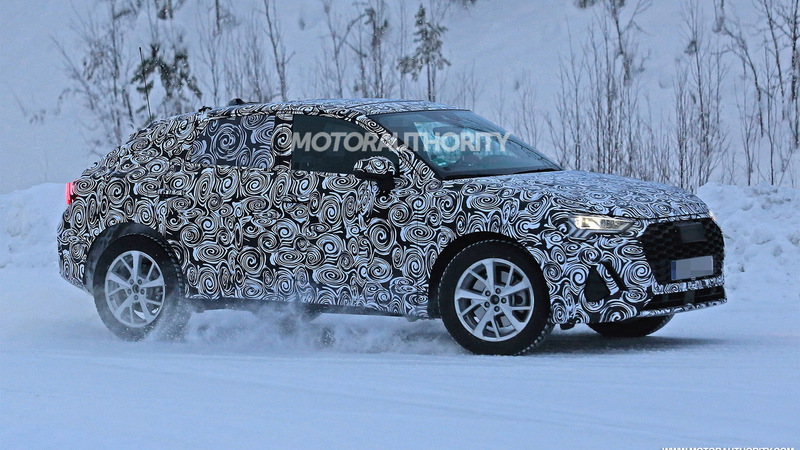 The mechancials, along with most of the interior design, will most likely be lifted directly from the Q3. This means the latest version of VW Group's MQB platform, front-wheel drive as standard with available all-wheel drive, and a range of turbocharged inline-4s each coming with either a 6-speed manual or 7-speed dual-clutch transmission. The Q3 Sportback is yet to be announced for the United States but we'll likely see it arrive with a 2.0-liter turbocharged inline-4 delivering 252 horsepower. And since Audi no longer offers manual transmissions here, the dual-clutch 'box is all we'll see. 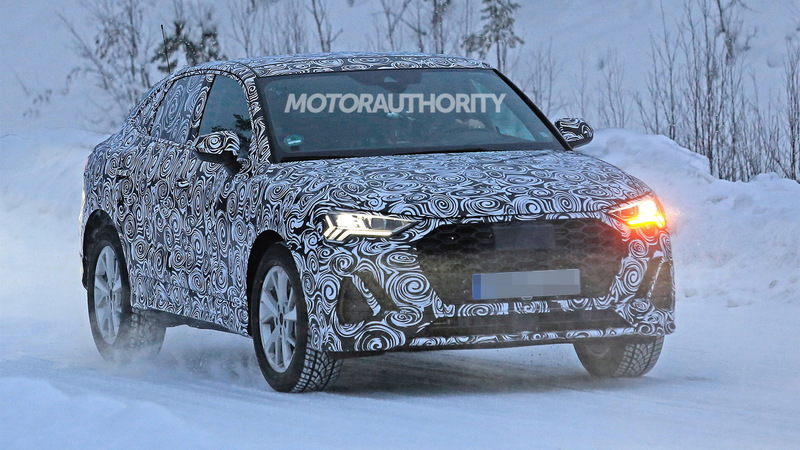 A high-performance RS Q3 Sportback is also planned. It's a natural extension of Audi's work on a new generation of the RS Q3. This high-performance crossover should feature a turbocharged inline-5 with 400 hp or more. 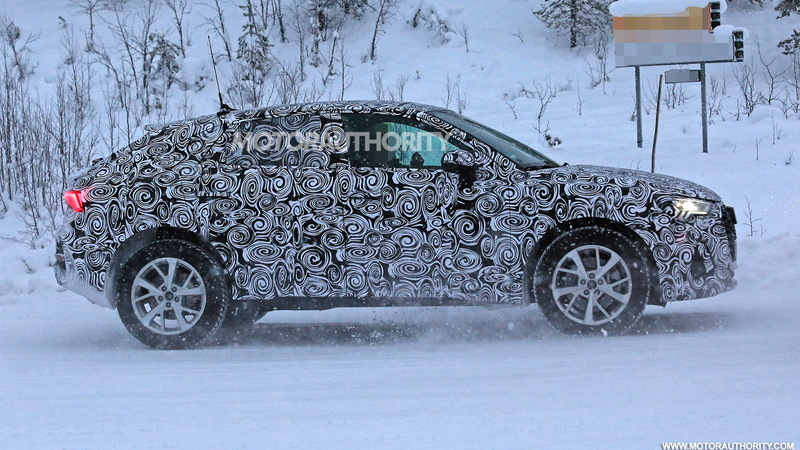 Look for Audi to unveil the Q3 Sportback in the second half of 2019. We'll likely see it launched locally for the 2020 model year.